Anushka Manchanda is what an all-rounder is. She started her career as a Video Jockey and then turned to singing, modelling and acting. Now, she has taken up music production and visual arts with her latest music video Don’t be Afraid. With this single, she has also launched her new brand for creative ventures called Nuka. Anushka said that the name and the brand Nuka was born out of the desire to create a space full of creative freedom for her work. Anushka has a decade-long experience as a performer and singer. With Don’t be Afraid, she is honing her skills as a music producer, editor and a creative producer. It is also this force of creativity and creative liberty that will drive the content that Nuka produces. The name, Nuka, is the one that she gave herself as a child and finds its traces through a series of events that took place with her in the city of Los Angeles in 2016. Anushka has worked with her long-time collaborator Navzar Eranee, who co-conceptualized and directed this video under his banner, Walkabout Films. This video takes you through the journey of death, and the fear attached to the unknown. It is a visually stunning depiction of the way energy travels in our universe, never dying, always evolving. 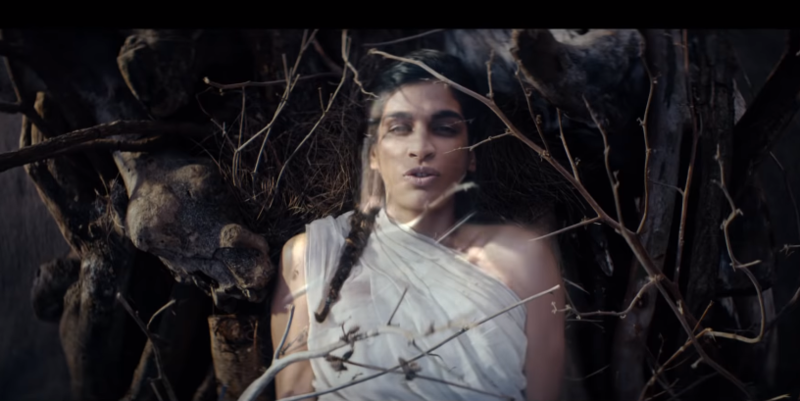 The music video features Anushka wrapped in white clothes as she lies down on the pyre. The video precisely conveys her idea behind the song. It is the idea that energy evolves and transforms from one place and thing to another. It keeps moving, never stagnant. Anushka tells us through her music video to not be afraid and keep moving because our energy never dies and it keeps moving, too. The music and the videos are devoid of any big names or labels. The singer believes that her work needs to be seen in all its purity. Don’t be afraid released on June 20, on the eve of World Music Day and following this, Nuka has two more singles lined up for release in the coming months.